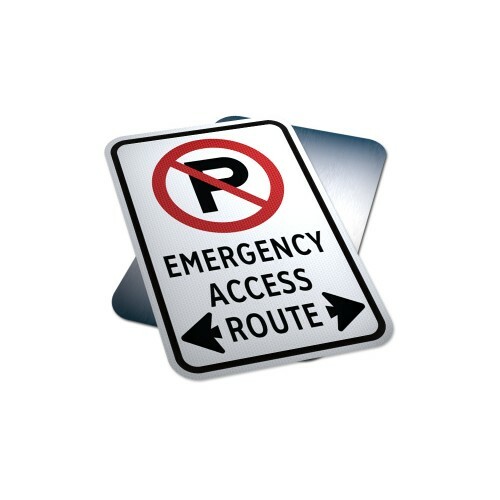 Advance Warning for Bylaws and parking information in the road or traffic ahead, this sign is used to inform drivers Emergency Access Route. The advance warning may be a single sign or a series of signs beginning up to several kilometres before the approaching change. Text Reads: "Emergency Access Route"